Many producers and engineers are using their Avalons during mix down/mastering for equalization and compression rather than plug-ins. 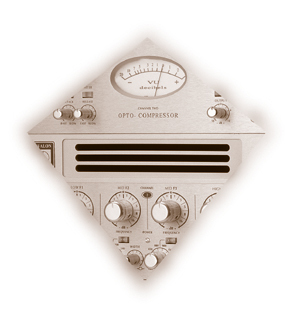 During the mixing or mastering process, send a track out of the computer or hard disk recorder to an Avalon EQ and/or compressor. Take the output from the Avalon and simply record a new track. Some software programs offer an “insert” feature for outboard gear . Producer and Mix Engineer for acts such as Jane’s Addiction, Hole and AJ Croce relies on the Avalon AD2055 for every mix. John Gass, lead engineer at Brandon’s Way (Babyface) has recently purchased his ninth AD2055 equalizer for the studio. He now has 18 channels of Avalon EQ. Brandon’s Way also has five AD2044 compressors. Sear Sound just purchased a second Sony MXP 3036 console and is loading it with 24 channels of Avalon M3 microphone preamps and E3 equalizer modules. Rob Jacobs, Mix Engineer for U2’s Rattle and Hum, as well as many hit records is currently recording and mixing Alanis Morrisette’s new album. Rob records vocal tracks with the Avalon AD2022 and uses the AD2055 EQ. Bass guitar is recorded directly through the U5. Motley Crue just finished recording a new album and used the Vt-737sp for overdubs on nearly every track including Nikki Sixx’s bass guitar. Christina Aguilara is touring with two Vt-737sp’s and a Vt-747sp. Sony in Japan recently purchased five AD2077 Mastering Equalizers to add to their existing collection of five AD2077’s. Sony is is expanding their current mastering facility by adding five new rooms all built around the AD2077’s. The U5 circulated through the offices at Bass Player Magazine for a recent review. Five guys on the staff each bought a U5 because once they had to give it back they couldn’t live without it. Brings freshly assembled Vt-737sp and Vt-747sp to life. Listens to every single Vt-737sp and Vt-747sp we build. 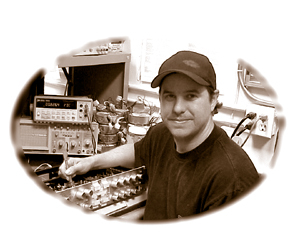 Calibrates and performs quality control tests for all Avalon products. Bass Player for Stormy Seas (Local Band). Bass Rig: Fender ‘51 P-Bass Reissue, U5, GK800RB Amp and Ampeg 8x10 cabinet. Surfing and motorcycle riding.